A dry cake is one of the recurring nightmares of every baker. Although cooks invest long hours into making desserts, there is no way to know if a cake is too dry before the baking process is complete. However, don't assume a dry cake is a lost cause. The addition of warm simple syrup adds moisture and flavor to less-than-perfect baked goods. 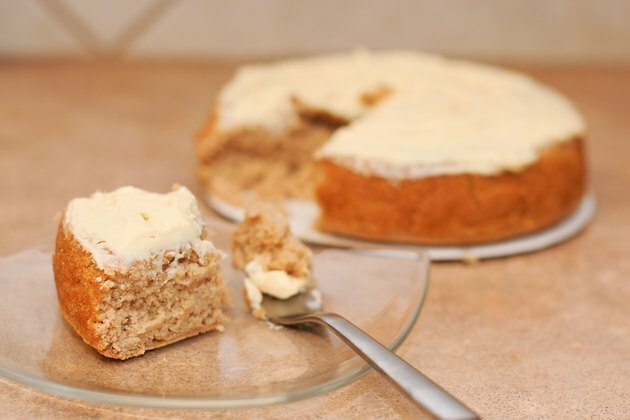 Because simple syrup adds calories to your cake, start by using a small amount, adding more as needed to achieve a spongy, sweet reward for your efforts. 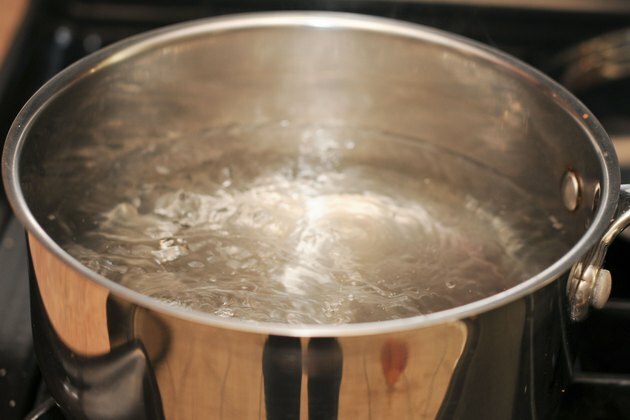 Mix equal parts of sugar and water in a saucepan. Start with 1/4 cup each of water and sugar. Increase to 1/2 cup of each if the cake is large or has layers. 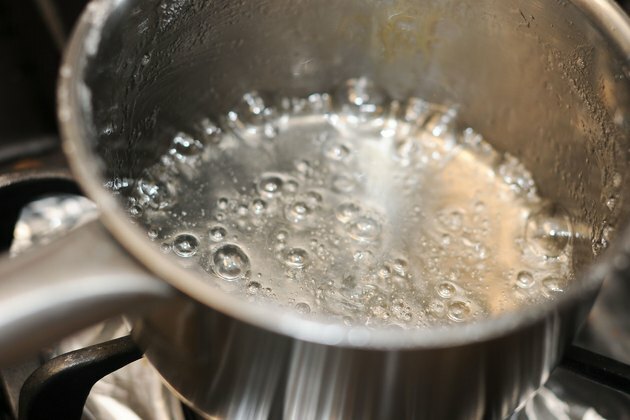 Heat the sugar and water mixture over medium-high heat until it comes to a boil. Remove from heat when the sugar completely dissolves. Allow to cool slightly. Use a bamboo skewer to poke holes in the top of the cake. 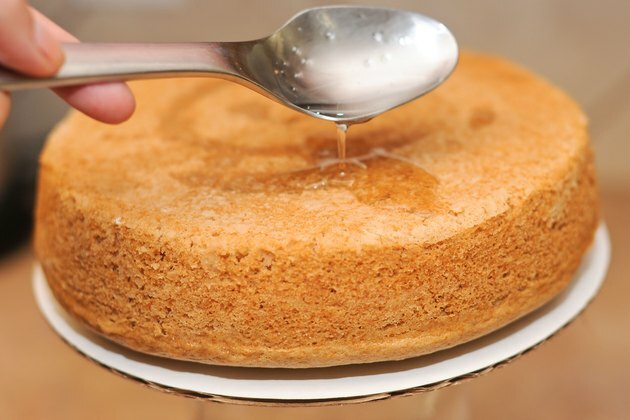 Spoon the simple syrup over the top of the cake. 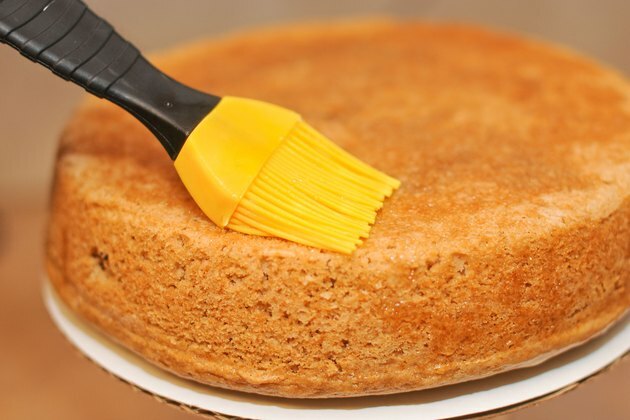 Spread the simple syrup over the top of the cake with a pastry brush. 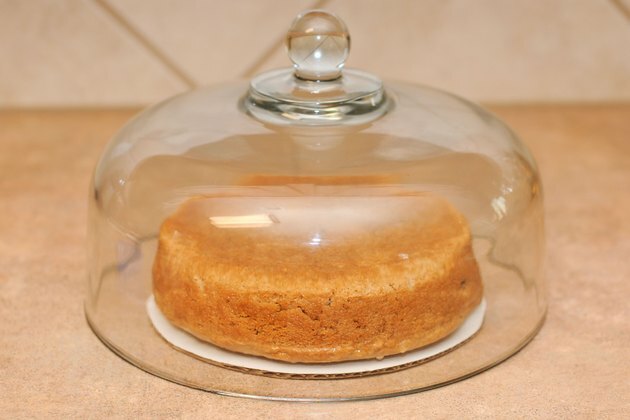 Distribute the simple syrup into the holes and around the sides of the cake. Cover the cake. Allow the cake to absorb the simple syrup for 2 to 3 hours before serving. If the cake has already been frosted, poke holes in the frosting on the top of the cake with a bamboo skewer. Pour the warm simple syrup directly into the holes and smooth the warmed frosting over them. Add flavor to your simple syrup by using flavored liqueur, such as orange, lemon or raspberry, or add vanilla extract. Mix 1 or 2 tablespoons of liqueur or extract to the simple syrup immediately after removing it from the stove.